The most well known name in sweet corn. Silver Queen is the popular late-season variety with tenderness and flavor worth waiting for. 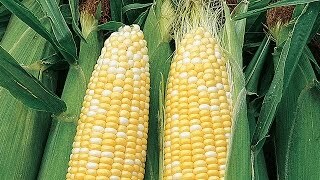 Large ears, 8 to 9" long, have 14-16 rows of white kernels, and plants grow to 8 ft. Proven tops for productivity, flavor and wide adaptability, it's ready to harvest in 92 days. Garden-fresh sweet corn is summer's greatest pleasure. Plant corn in blocks at least four rows wide for cross-pollination and well-filled ears. A packet contains 200 seeds, enough for four 15 ft. rows. Seeds are not treated. Corn, Silver Queen Hybrid is rated 4.1 out of 5 by 19. Rated 4 out of 5 by LAGardener from Not Perfect, but definitely Outstanding Last Spring, I planted about 10 Plants (not much room), and they at least grew a few inches every week! Now, for the corn, it did take a while for the corn to start, let-alone start harvesting, it paid off; We got around 7-8 Pieces, while the bugs got the rest (oh well). Going to be more of this variety again this spring! Rated 5 out of 5 by slogar1 from Silver Queen Choice Hybrid I live one house from downtown Main St. with a mostly clay soil and have failed to grow corn for 6-7 years. Last year's Silver Queen was the first success I've had but had to replace about 1/3 of my plants due to squirrels digging up the seeds. This year I upgraded to the Choice Hybrid and started them indoors. I had a 90% success rate and no plants were disturbed. These ears of corn are so meaty, I can't eat more than 2 and my neighbors are just raving about the flavor. This corn is definitely a home run! Rated 5 out of 5 by Sonny73 from Delicious Corn Planted early corn 4/30/17 and planted late corn 6/02/17. I began picking 7/27/17 and will be picking continuously thru mid September. I've had a great crop of delicious corn this year. Very nice eating high yielding corn. Rated 5 out of 5 by Frankm5 from Silver Queen corn Silver Queen has been around for a long time I remember my dad planting it when I was a kid. 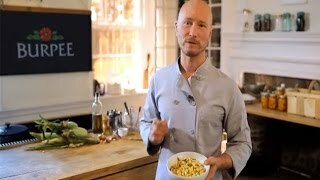 There is a reason its still around, its a great tasting corn. It produced well this year for me I pulled in over 600 ears and the stalks were very tall over 7ft. I like that it grows tall helps keep some of the critters out of it. All of the ears were well developed but that has to do with spacing of row ect. I will be planting this again next season I have a good stock pile in the freezer for winter. I also grow some of the newer varieties of SE and SU type corns but they just don't impress me they way Silver Queen does. Rated 5 out of 5 by Exasperatus2002 from Great corn Grows well here in zone 6. So good, I have to fight off the squirrels this morning. They've been getting to them before me. Caught one climbing a tree with a cob in tow. Rated 1 out of 5 by BigAl from Problems with silver queen hybrid This is the second year that I've used this seed. Last year the silk never turned brown and the ears were not fertilized. We had had some unusual spring weather, so thought it might be the cause. This year the silk turned brown and I kept waiting for the ears to fill in but they never did. Again no fertilization. I've grown silver queen for 20 years and I never had a problem until using Burpee silver queen hybrid. After talking with a local corn farmer going over all the possible causes he concluded that I need to use a different seed.